Prick the sloes with a clean tooth pick and pop into a sterile Kilner jar along with the gin and sugar. Shake daily for a week until the sugar has dissolved, then agitate once a week for the next 3 months. Store in a cool, dark place. After three months sample the gin, add additional sugar if required. Once you are happy with the flavour strain out the sloes, pour into a serialised bottle, and store for up to a year. 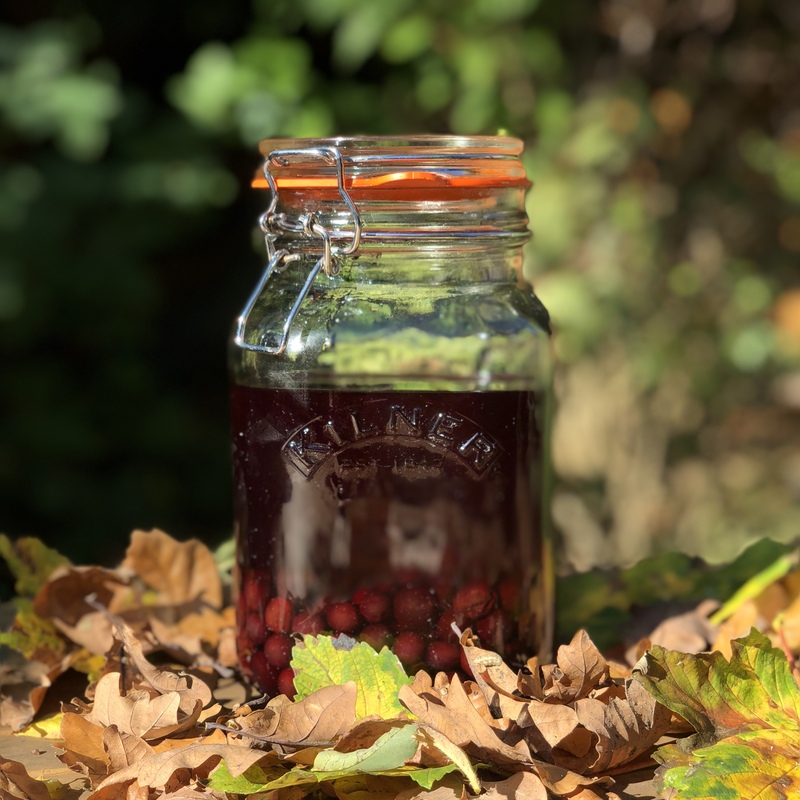 Take a relaxing walk on a crisp autumn morning foraging for sloes to make your own homemade Sloe Gin. 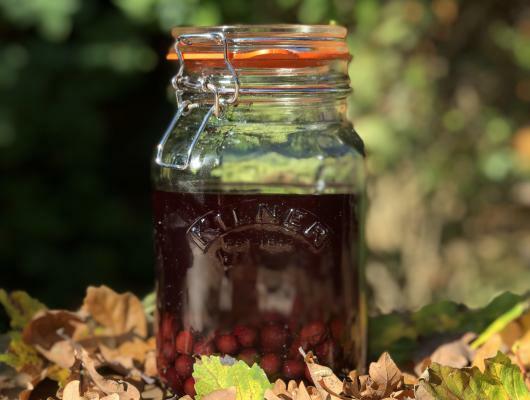 Sugar, gin and sloes will mature into a deliciously rich and fruity liquor in just 3 months.